Third party functionality keeps adding more and more features to the iPhone. HP has just introduced (Store Link) a new app that lets you print your pictures to an HP printer. 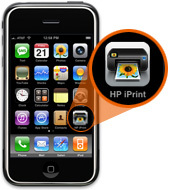 HP iPrint Photo is a free downloadable software application that allows you to quickly and easily print 4" x 6" photos. 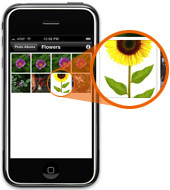 Images stored on your iPhone or iPod touch can print on most HP networked ink jet printers connected to a local WiFi network. 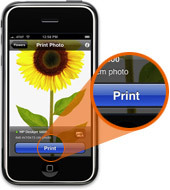 Wireless printing is a fun extension of the iPhone / iPod touch’s easy photo capture and viewing experience. It will be interesting to see if Apple releases some universal printing standards or if Printer manufacturers will have to each produce their iPhone application. 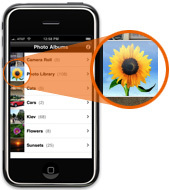 The HP iPrint Photo application is available as a free download from Apple’s "App Store" which is easily accessible from your iPhone, iPod touch or iTunes on your computer. 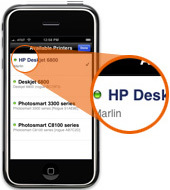 You can download HP iPrint Photo in just a few moments directly to your iPhone or iPod touch or to your computer, then manually sync to your handheld device. Once you have loaded HP iPrint Photo to your handheld device-you are ready to go. It’s only a few simple clicks to print your photos from anywhere within the range of your wireless network. You should now be printing a 4" x 6" or 10 x 15 cm photo from your HP Inkjet printer*. Note: If this is the first time printing to a specific printer, select the desired printer from the list of available printers. You will not be required to complete this step again in order to print additional photos on the same printer. HP iPrint Photo leverages Apple’s Bonjour technology to automatically identify HP wireless printers or other supported HP printers available on your network. HP iPrint supports industry standard WiFi environments (including Apple Airport, Linksys, D-Link, Netgear…). *HP iPrint Photo defaults to print borderless 4" x 6" (American standard) and 10 x 15 cm (European standard) photos. If your printer has a separate photo tray, it will be automatically selected. Otherwise the default will be the printer’s main paper tray.